Today (based on GMT) is Wednesday, April 24 2019. The big news? Infinite Tinder No. 4 is in production! After the shocking end of Infinite Tinder No. 3, a terrifying new urgency for our heroes is reavealed! I had an excellent time at the MCBA's FallComicon in October! Thanks to everyone who attended for making it such a terrific convention, and thanks especially to the MCBA! They are simply the best. Thanks to all the fine folks I met, fans and staff alike! Updates on convention appearances as they come! 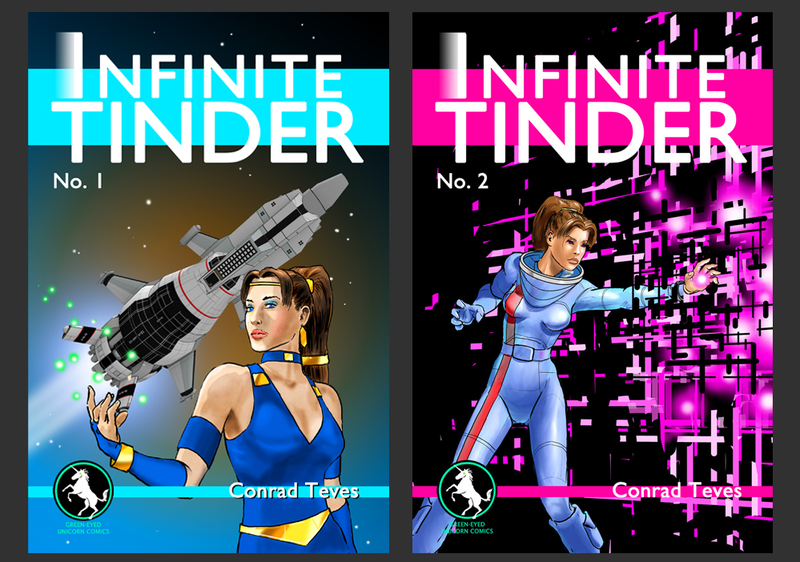 Note that the complete Hollow/Hollow's Prism Saga is available in the store, as are Infinite Tinder No.1 and 2! All Content on this website, unless otherwise noted, is Copyright(c)2013 Conrad Teves All Rights Reserved or Copyright(c)2012 Christa Yelich-Koth and Conrad Teves. All Rights Reserved.